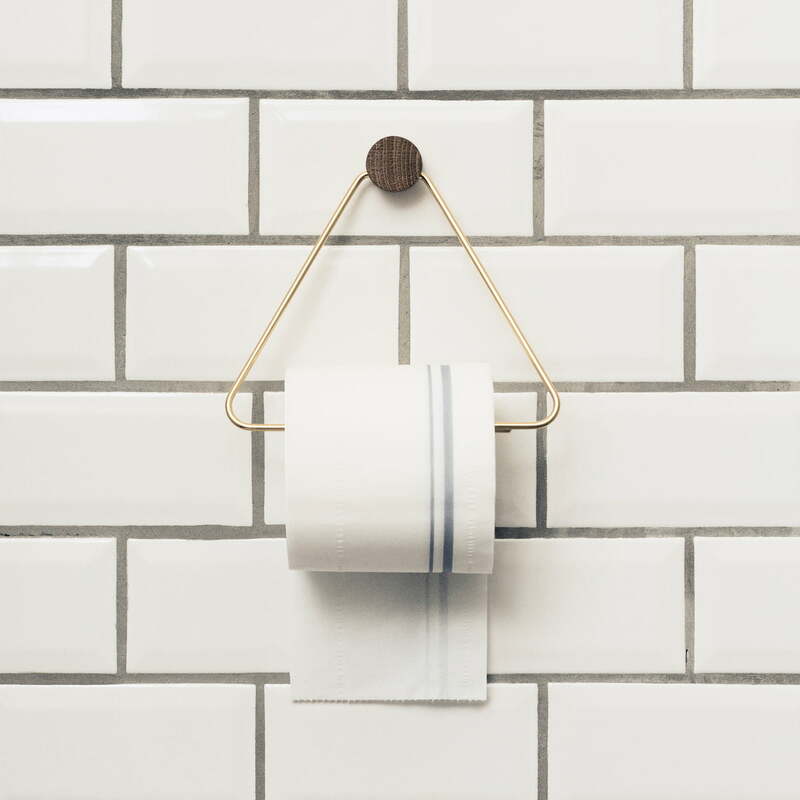 The Toilet Paper Holder by ferm Living is beautiful as well as functional and therefore, the ideal accessory for any bathroom. The triangle and the wall mount made of stained oak give the Toilet Paper Holder by ferm Living a timeless and at the same time extraordinary look that can be beautifully combined with the graphical shower curtains or laundry baskets. This toilet paper holder from Ferm Living is one of the most weightless and ephemeral thing in my flat - just a a grid in the space. The paper roll looks like it is suspended with no extra help - like it is stuck to the wall! Single image of the Toilet Paper Holder by ferm Living in brass. 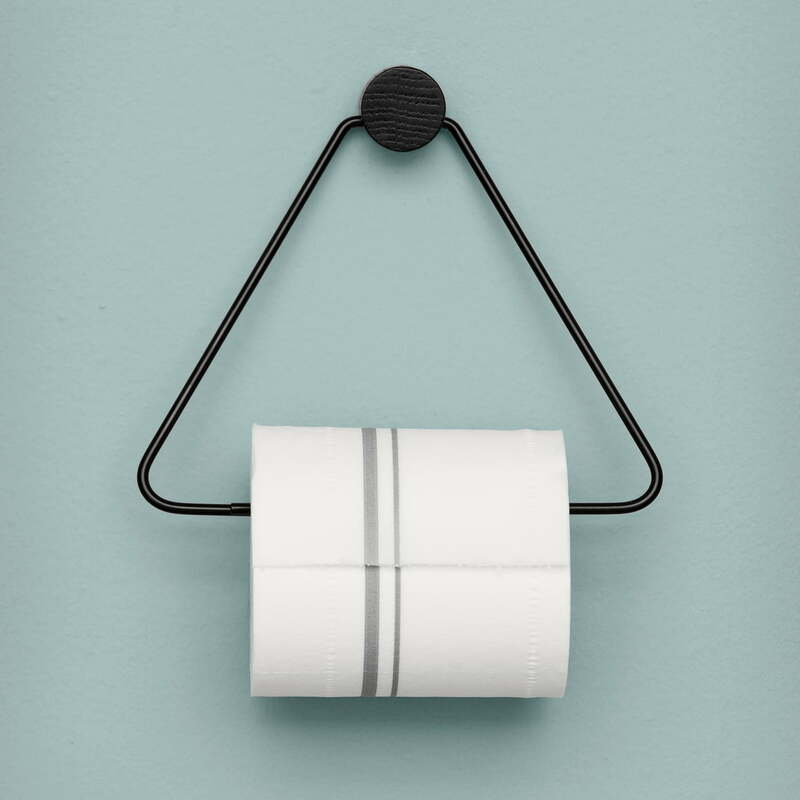 The triangle and the wall mount made of stained oak give the Toilet Paper Holder by ferm Living a timeless and at the same time extraordinary look. The Toilet Paper Holder by ferm Living is beautiful as well as functional and therefore, the ideal accessory for any bathroom. Screws are included in the delivery. 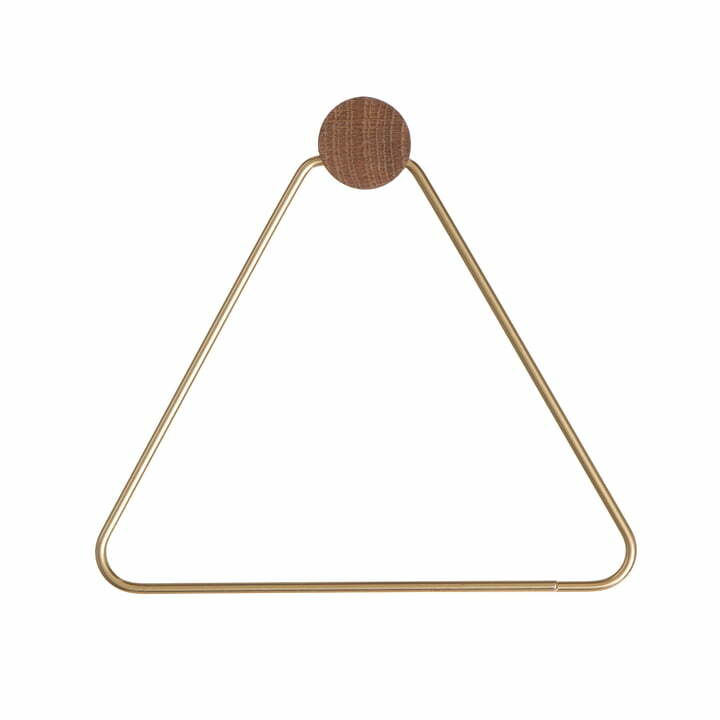 The triangle made of brass and the wall mount of stained oak wood give the Toilet Paper Holder by ferm Living a timeless and at the same time extraordinary look. 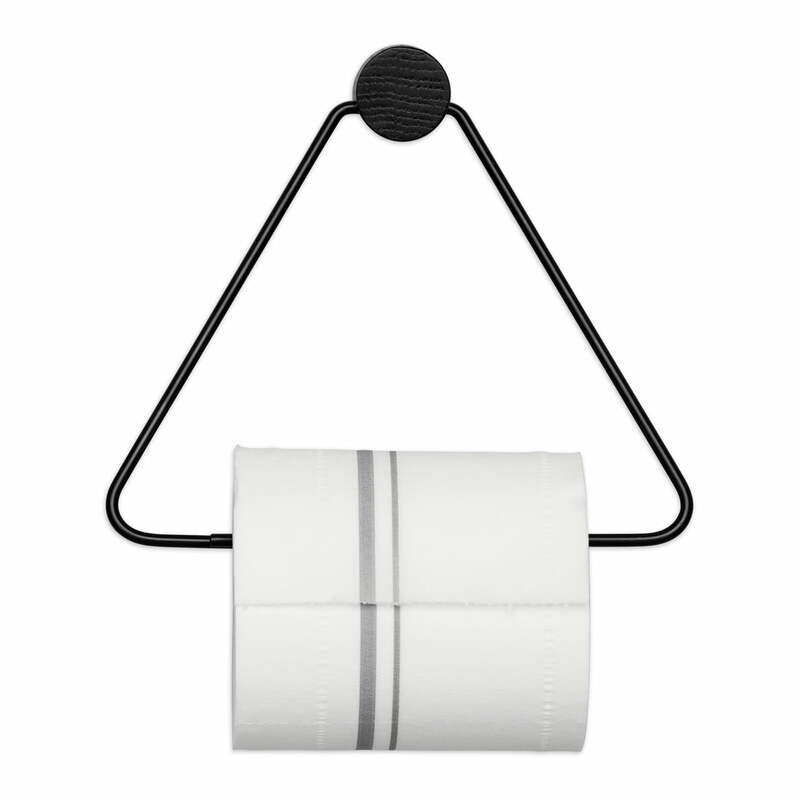 The Toilet Paper Holder by ferm Living is available in powder-coated metal in black. The Toilet Paper Holder by ferm Living is beautiful as well as functional and therefore, the ideal accessory for any bathroom.